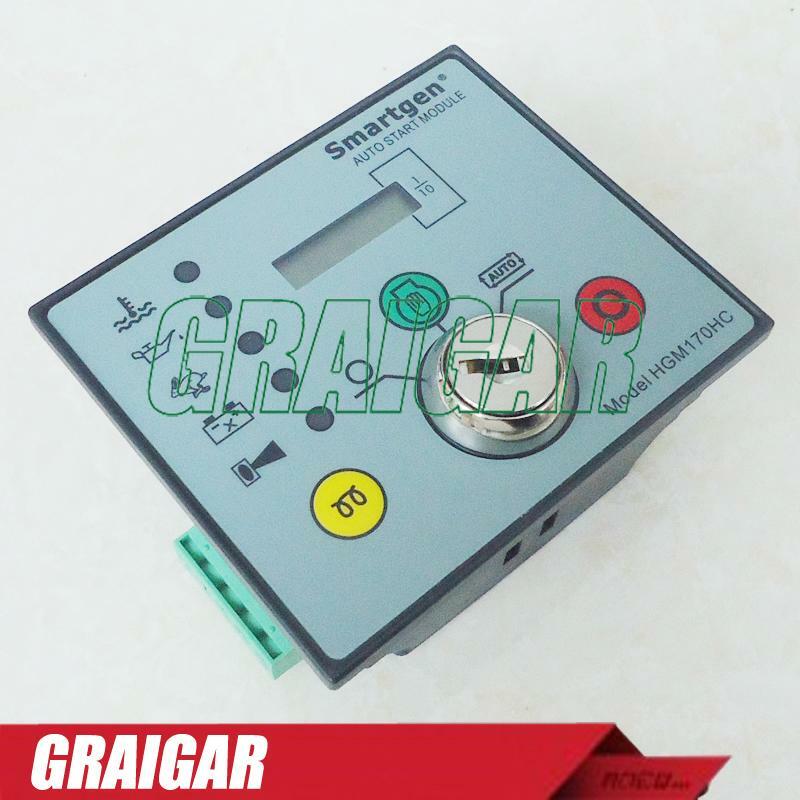 The Model 170/170hc is an Automatic Engine Control Module. 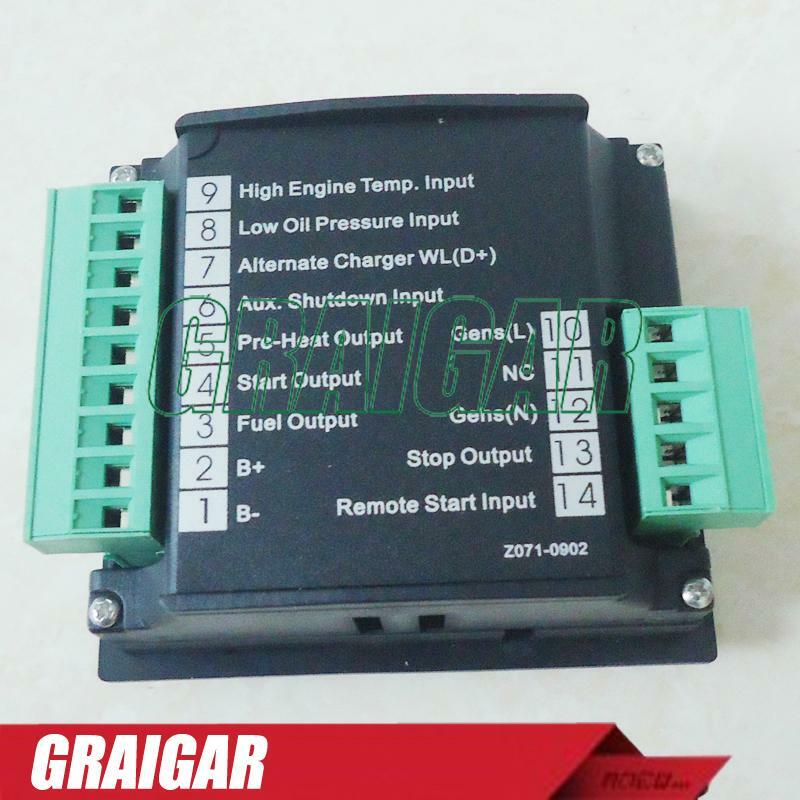 The module is used to automatically start and stop the engine, indicating the operational status and fault conditions, automatically shutting down the engine and indicating the engine failure by LED on the front panel. 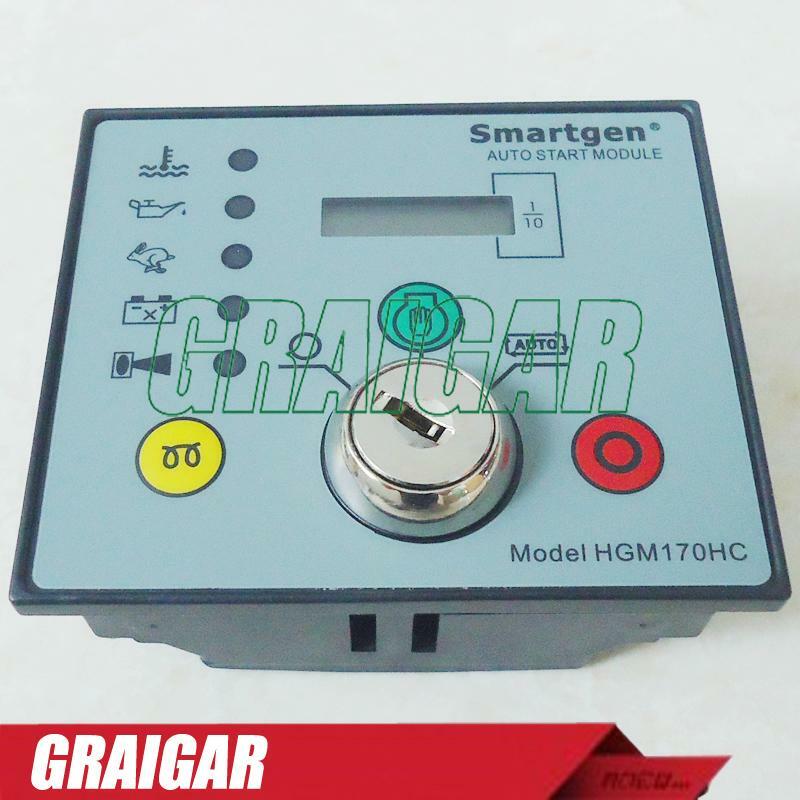 HGM170hc append a LCD hours count that base on HGM170. Operation of the module is via a three position key switch mounted on the front panel with OFF(O), STARTand AUTO positions. In the ‘O' position the output are de-energized. 3. Press START to crank engineOnce the Start button is pressed and maintained, the engine fuel system is energized. The ‘Crank' output is then energized and the starter motor operated, disengaging automatically when the engine fires or when the ‘Start' button is released. The protection hold-off timer is then initiated. 2. 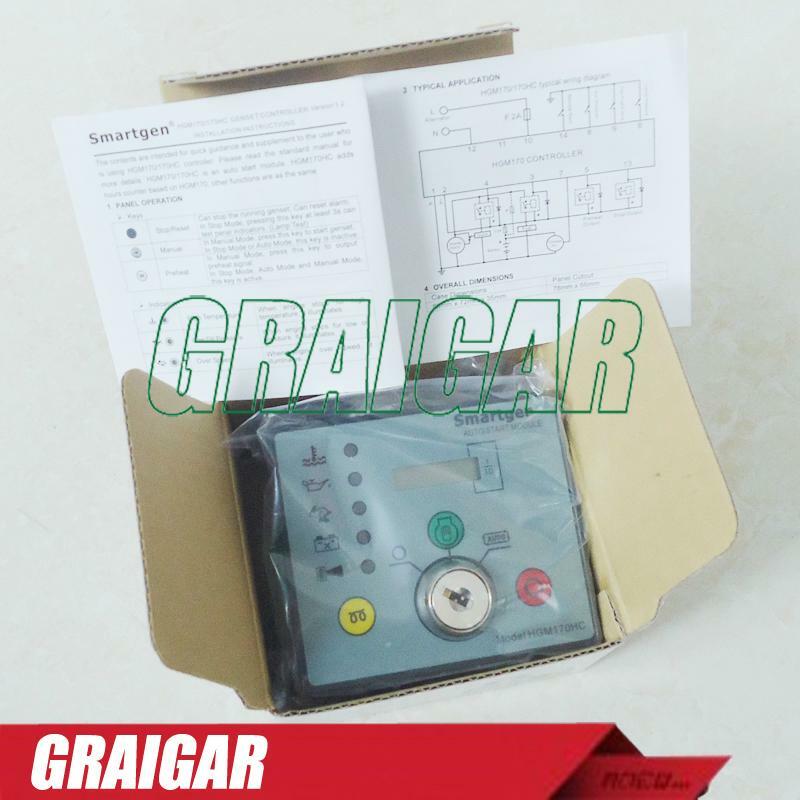 When Remote Startis active, the generator will automatic start.Operation of any of the following alarms (which are close on fault) will cause the run output to de-energize. Low Oil Pressure. High Engine Temperature.Auxiliary ShutdownOver speedThis will remove the fuel supply from the engine and bring it to rest. Each alarm has its own LED indicator and once activated no further alarm conditions will be accepted. The alarm output and relevant LED will remain active until the unit is reset by turning the switch to the ‘O' position. Over speed protection is derived from the generator Hz output. 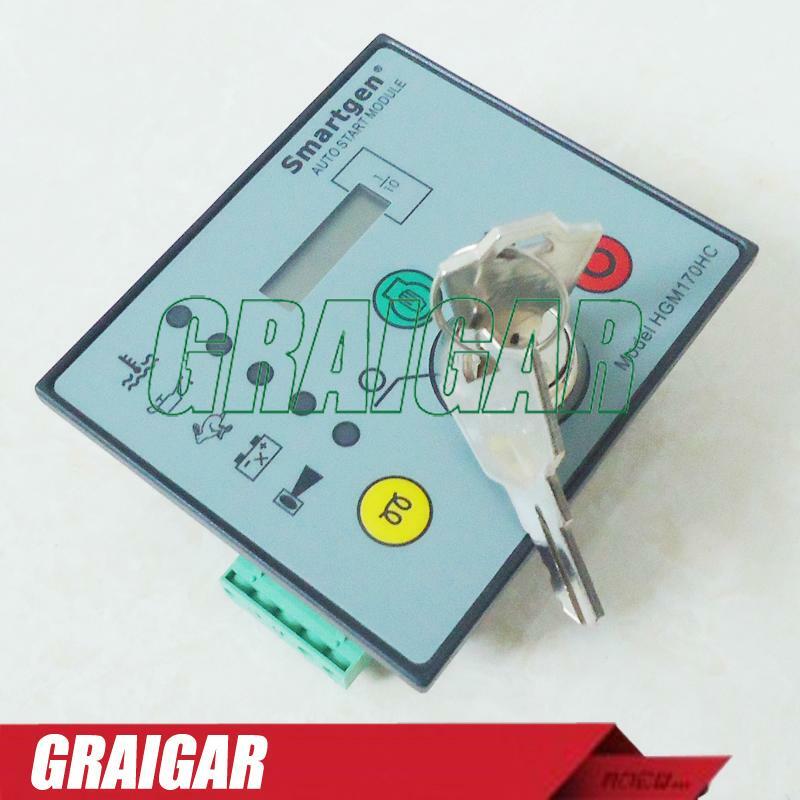 The over frequency circuit monitors the generator Hz output and will shut down the engine immediately if a pre-set frequency level is exceeded. 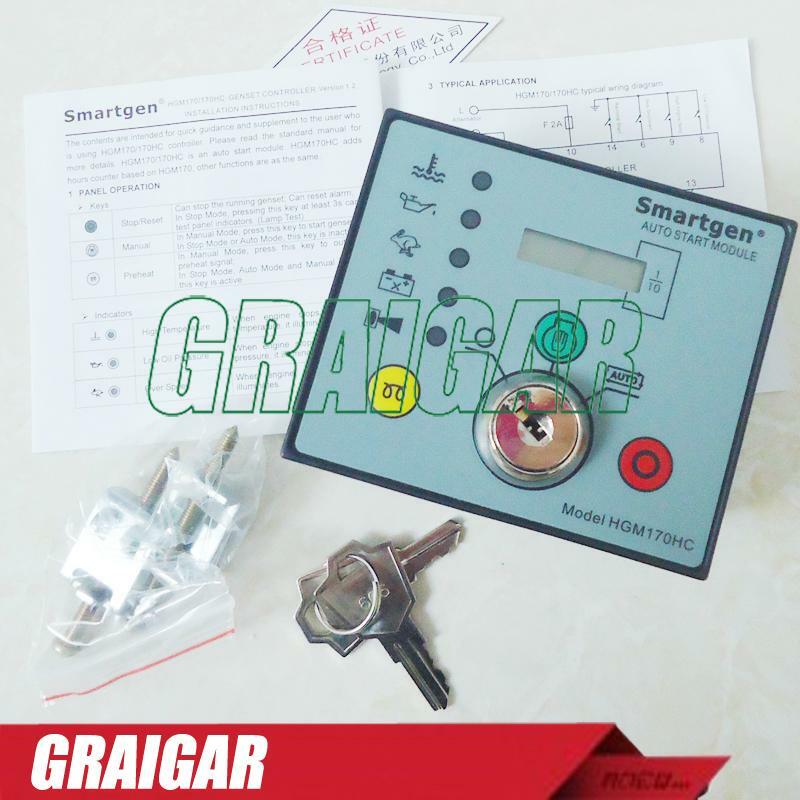 This trip level is selected by a switch for either 50Hz or 60Hz nominal operation (57Hz or 68Hz trip respectively).During engine cranking and for a short time afterwards the protection hold-off timer(10 seconds) is active and the relevant alarm inputs are inhibited. 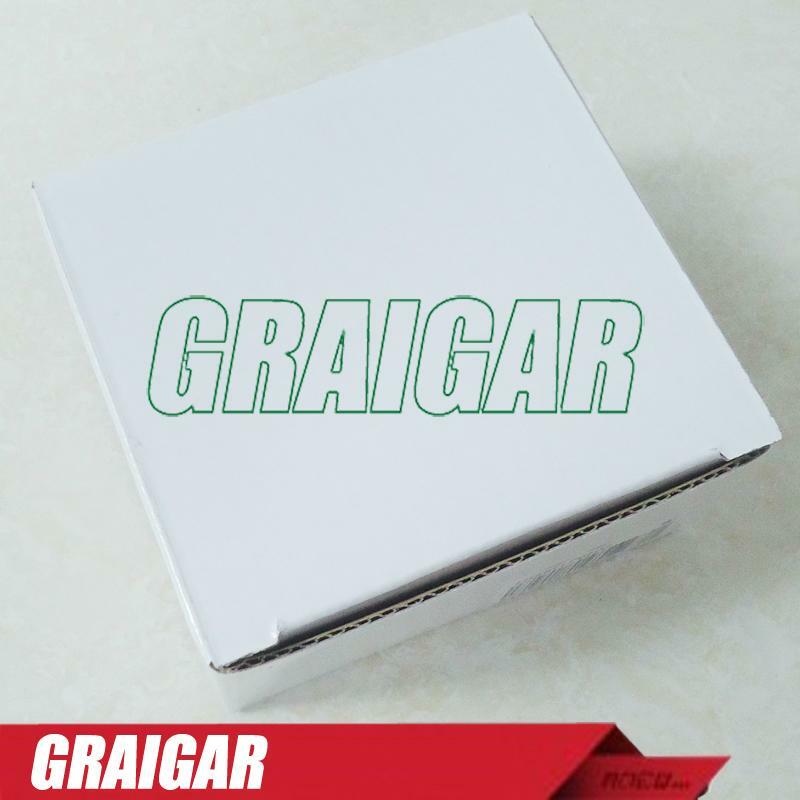 This enables the engine to start and achieve normal running conditions. 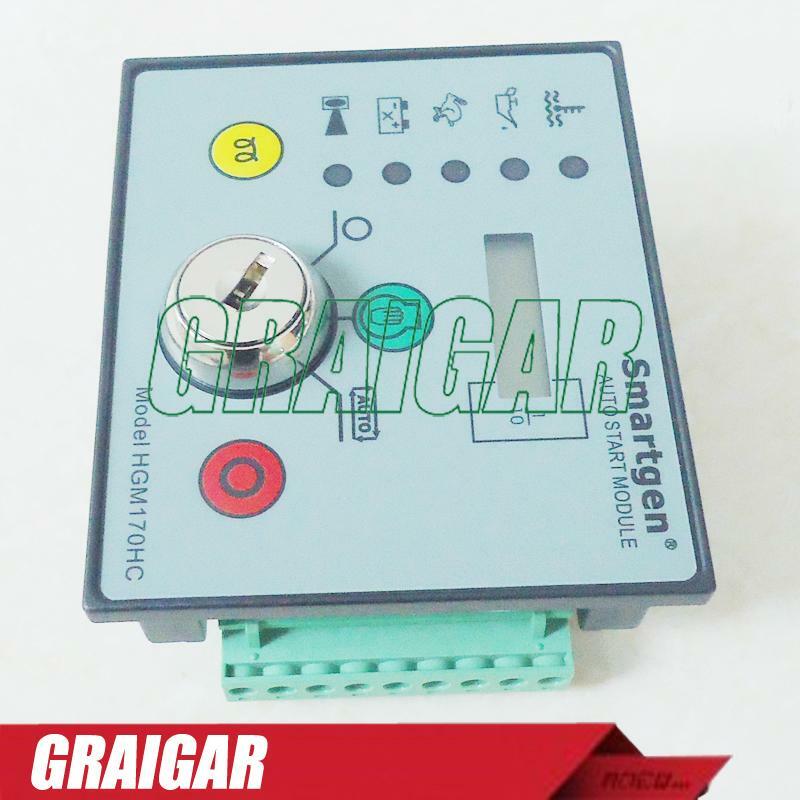 Once the timer has expired the inputs are enabled providing normal protection from the module. DC Supply:8 to 35 V Continuous.